SEO is an acronym for “search engine optimization” or “search engine optimizer.” Deciding to hire an SEO is a big decision that can potentially improve your site and save time, but you can also risk damage to your site and reputation. Make sure to research the potential advantages as well as the damage that an irresponsible SEO can do to your site. Perform a search on Google for “Search Engine Optimization” and you’ll see over 43 MILLION pages. 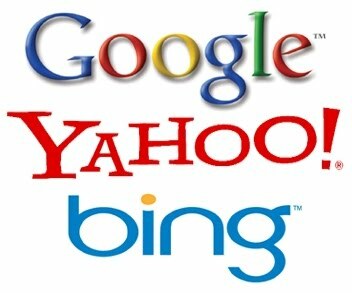 The concept of Search Engine Optimization is huge and very profitable. Sadly a large among of those gains are from illegitimate methods which result in only short term gains to your website. At ProactiveWeb our experienced web developers will work with you to determine the correct path to take to meet your desired objectives. We will determine realistic expectations for search results and create a plan, implement and monitor those results. While there is no “black magic” or “secret sauce” to improving your search results, there are some well published techniques and, most significantly, qualified experience to help guide you through the process. Our overall goal for SEO is to produce a plan which shows steady, positive, sustainable growth in search ranking. Promises from companies for rapid success are from unsustainable, and sometimes unethical methods which will be short lived, and perhaps lead to your website being blacklisted or banned by Google and other search engines. Google has published an excellent guide which can help both webmasters as well as interested parties in Search Engine Optimization, as well as selecting a firm. We will use some of those ideas here and answer the questions they present for you. Absolutely, we have some published case studies, including: Silicon Valley Driving School which was able to eliminate their YellowPages print ad because of our SEO work. Of course, please contact us for additional references or information. Absolutely! In fact, we’re referencing their own questions and guidelines here. This is an excellent question to ask. Our primary focus is on organic search results and optimization, however we will make recommendations for some online marketing when appropriate. We do not resell these services, but rather refer you directly to the vendor. We work with our customers to develop specific, measurable objectives. Our primary goal is steady, positive and sustainable growth – rapid growth tends to be a red-herring, and of little long term value for most businesses. All objectives will be documented, and measured in a verifiable method. Definitely contact us and let us know what industry you’re involved in and we can provide additional detail. Areas we’ve recently been involved in, but certainly not limited to is: non-profit, church/religious, medical/health-care, daycare/childcare, government. We have extensive experience throughout the state of California with an emphasis in Shasta County (Redding, Anderson); Silicon Valley (San Jose, Santa Clara, Cupertino); rural health-care; and nation wide e-commerce. We do not offer or specialize in international sites; we have some very limited experience with internationally based missionaries, but that would be the greatest extent of our prior involvement. Our largest focus is on ensuring the website has discoverable/searchable content which is of real value to the individual performing the keyword searches. Valuable content is the most significant element of any SEO campaign, followed by execution and technical skill-sets. ProactiveWeb is a division of ProactiveITC which was founded in 2006. Our two lead SEO engineers have been providing professional web development services since 1998 and 2000. All communication will be a combination of phone, web-conference and e-mail documentation; if you’re in the greater Shasta County area, on-site appointments are preferred when possible. All changes will be reviewed before being executed. In some instances a mock-up website will be created for review before being published on the internet. You are free to ask any questions as to our methodology and process, again, we don’t believe there is any secret sauce to SEO, simply well published methods and experienced execution of those methods. No one can guarantee a #1 ranking on Google: Our approach is to work with you to create long-term, realistic goals for your websites and related search terms. While the majority of the time we can help you get first page placement, and in some cases first ranking position, there are a few things you need to know. First, there is no guarantee of ranking, for MANY reasons, including the nature of the organic search – if we both searched at the same time for the same term, you will sometimes find that your computer and mine return different results, even in the #1 position. We can guarantee satisfaction with our service and that if we work together you will see a positive direction on your search result placement. Be careful if a company is secretive or won’t clearly explain what they intend to do: Again, we don’t believe in any secret sauce, when we are working together, we will provide you a detailed approach to how we’re going to implement the plan to meet agreed upon objectives. Of course, to protect ourselves from being abused, we don’t provided detailed plans before we’re under a service agreement. You should never have to link to an SEO: We definitely agree with this one, that is a method used my many to create inflated search results, which are short lived — our method is long term, sustainable growth! However, with that said, we always appreciate our customers linking to us in attribution to the services we’ve provided that hopefully results in customer referrals, but nothing more – no page rank or backlink scheme here! Be sure to understand where the money goes: All fees paid to us goes directly to our company to pay operating and staff expenses, none of the monies paid to us ever goes to third party firms. Only in select instances, typically when requested by the client, will we recommend they directly work with Google/Yahoo/etc for ad placement. What are the most common abuses a website owner is likely to encounter? While there are many abusive methods on the internet to provide short term gains, ProactiveWeb avoids and refuses to perform any of the following: shadow domains, keyword laden doorway pages, SEO link exchanges, paid-for-inclusion methods, spam, backlink spam, and anything illegal. Our overall goal for SEO is to produce a plan which shows steady, positive, sustainable growth in search ranking. Contact us today and we’ll get started! One thing that can materially affect your search page ranking is constantly updating information. Nobody likes a stale website, and the majority of information available is always changing and updating. Yes, certain pages will always be static, but in most categories of websites, there will always be new information to share. When a website never updates their pages, the information becomes stale, and thus, can lose search ranking. If you don’t find your website important enough to update, why should anyone else place value on it. Even the most basic advertorial webpages can contain fresh data. In 2003 I designed a website for a driving school with 14 very informative pages. The information is generally very static, and I have a reminder every 6 months to contact the owner to have him review the website to make any updates to his pricing, fees, terms or policies, as well as any changes due to the changes in driving laws. But beyond that, what we have added is a blog to bring fresh data to the website on a roughly monthly basis. That blog contains student testimonials, announcements of changes by the DMV, or other driving tips as the instructors encounter them. All of this information is relevant information to our visitors and helps keep the website filled with current information. Google finds this new information, and the more often your website posts new data, the more frequently Google visits your website, and this has an uplifting affect on your search results. I am frequently asked by people how they can achieve better search ranking on Google. They have been exposed to all sorts of marketing about companies who claim to bring peoples websites to the first page of Google. However, the truth of the matter is this: Google is constantly changing their ranking system to provide better results to their users, so only truely valuable websites stay on the top. It isn’t hard to get invaluable sites to the top for a short period of time using a variety of black-hat or grey-hat methods. So at the end of the day, only truely valuable websites are going to show up on the top of Google over the long term. So the first thing you need to look at is your website to see if it is providing a valuable resource to the internet compared to those above your current search results. If you’re not, then you need to start there, improve and ehance your content before attempting to perform any form of SEO or SEM.